The Phantom drone series are robust drones with powerful motors that can handle windy conditions while approaching car like speeds. The Phantom 4 RTK provides ground survey level accuracy at a fraction of the cost compared to traditional aerial surveying techniques. 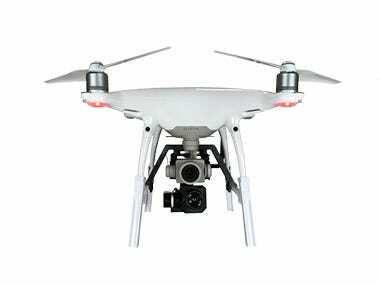 For the Phantom 4 FLIR Upgrade kit the team at Dronefly has worked extensively with gimbal manufactures to create the FLIR Vue Pro integrated gimbal. This gives the Phantom a high-resolution thermal solution that can be added or removed giving this drone platform the flexibility. The Phantom 4 series of drones are the perfect option for those looking for better image quality and greater 3-axis gimbal stabilization than the Mavic Pro series without having to pay for the more expensive and less portable Inspire series. 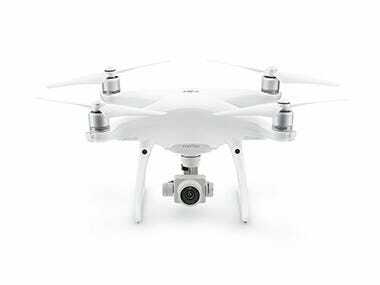 The DJI Phantom series is the drone that propelled DJI to become top drone manufacturer in the world. Dating back to 2013, the first-ever Phantom drone was just a simple UAV with a GoPro camera and 10-minute battery life. Fast-forward to 2018 and now on its fourth generation with a 30 minute flight time, 4 mile control range, 5-directional obstacle sensing, and a powerful 1” camera sensor. What Phantom drone to buy? As there are many Phantom models, we will be going over the three most recent versions of the Phantom 4. From oldest to newest we have the , Phantom 4 Advanced, Phantom 4 Pro, and the Phantom 4 Pro V2.0. All three come with the iconic and original quadcopter design of the first Phantom. So what are the differences? You will get fewer sensors with the Phantom Advanced versus the Phantom Advanced Pro. With the latter, you'll get backward, and side obstacle avoidance vision sensors. Both models have a 1” camera sensor with a mechanical shutter producing high quality 4K video and 20 megapixel still images. 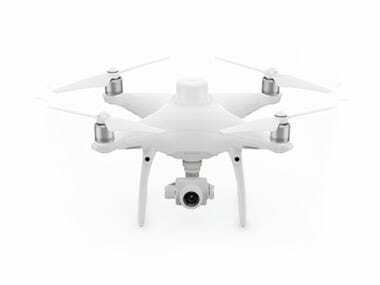 The Phantom 4 Pro V2.0 has an upgraded transmission system known as OccuSync instead of the already extremely powerful Lightbridge technology which is found on other DJI drones. In addition to a stronger, more reliable, higher quality video and control range the drone features wing tipped propellers which make the drone significantly quieter. What is different about the Phantom 4 Obsidian? The difference is purely cosmetic. Instead of the standard white color of the Phantom, you will get a charcoal color with this version. It also comes with a silver looking electroplated Magnesium gimbal. All on-board features and specifications are the same.